Assessment of North Atlantic Treaty Organisation Forces in the Baltic States: Credible Deterrent or Paper Tiger? Mr. Callum Moore currently works for Intelligence Fusion, where he operates as an analyst focusing the Baltic States and Finland. Divergent Options’ content does not contain information of an official nature nor does the content represent the official position of any government, any organization, or any group. Title: Assessment of North Atlantic Treaty Organisation Forces in the Baltic States: Credible Deterrent or Paper Tiger? Date Originally Written: November 9, 2018. Date Originally Published: December 10, 2018. Summary: North Atlantic Treaty Organisation (NATO) forces deployed to the Baltic States are severely unprepared to fight a conventional war with Russia. Their presence in the Baltic States is merely a token gesture of support. The gesture is not only a paper tiger, but exposes the deployed forces to the possible risk of annihilation by Russia. Despite this, there are valid arguments to suggest that a paper tiger is enough to deter hybrid warfare. Text: In late 2016 NATO coalition members decided that they would send troops to support the Baltic States. This decision was made in light of the recent invasion of Crimea by Russian Federation troops in 2014 and the Russian invasion of Georgia in 2008. At this time the Baltic States were left in a vulnerable position, being both former members of the Soviet Union and current members of NATO and the European Union. The NATO troops sent to the Baltic States came largely from the United Kingdom, Canada, America, Germany, Denmark and France. The United Kingdom sent a force to Estonia, consisting of 800 British troops with handheld drones, which were accompanied by four Challenger tanks and Warrior armoured fighting vehicles. Both the German and Canadian expeditions consisted of similar numbers and equipment. The vulnerability of the Baltic States position in 2015 is highlighted by David Blair, a writer for the Telegraph. Mr Blair indicates that Latvian troop numbers consisted of 1,250 troops and three training tanks, Lithuanian forces consisted of 3200 troops and Estonian forces consisted of 5300 troops. Opposing these Baltic forces were 1,201 Russian aircraft, 2,600 tanks and 230,000 troops. It is clear militarily that the combined forces of the Russian Federation far outweigh that of the Baltic States, both in numbers and equipment. Altogether the coalition forces reinforced the Baltic States with 3,200 troops, with an additional 4,000 U.S. troops deployed just south in Poland. These troops pose little threat to the Russian forces. This lack of threat to Russia is especially true in light of Russian operations in Ukraine, were they almost entirely wiped out the Ukrainian 79th airmobile brigade in the space of a three-minute artillery strike. This situation begs the question to why these NATO countries have chosen to expose some of their most capable troops and equipment, leaving them in a vulnerable position far from their familiar training grounds in Western Europe? The most evident argument for exposing vulnerable NATO troops to a Russian threat is that these troops are used as a deterrent; it’s a message to the Russian Federation that Western Europe will support its neighbours to the east. If this token force in the Baltic States were to be attacked, the western powers would be compelled to retaliate and that they would likely nationally mobilise to fight. After the invasion of Crimea, it could be suggested that NATO was slow and unsure on how to react to a threat on its border. By sending these troops, it rids any notion that the Western Powers will sit back and allow their borders to be chipped away in order to avoid full-scale conflict. This view can be compared to that of Argentina during the Falklands war; they believed that the British would not sail across the sea in order to fight an expensive war for a small group of islands. Certainly this argument can be justified with conventional warfare rearing its ugly head in recent years. Despite conventional warfare becoming apparent, it has been accompanied by destabilisation tactics. Acknowledging the conventional threats posed by NATO, the Russian Federation over the past few years has been successful in fighting a new type of hybrid warfare. This warfare employs conventional, political, irregular and cyber warfare and all under a single banner. Hybrid warfare seeks to first destabilise a country or regime before engaging through irregular or conventional fighting. Destabilisation takes many forms from cyber attacks to inciting civil unrest; this is what the world initially saw in Ukraine. During the initial Russian attacks, there was so much initial confusion within the Ukrainian government and the military that an effective response couldn’t be coordinated. The deployment of foreign forces into to the Baltic States helps to mitigate confusion in a crisis. NATO troops would help deter and then stamp out early signs of the hybrid warfare and could be easily trusted by the Baltic States to help organise a response. The main advantage of having foreign NATO forces is that they are organised from outside of the Baltic States. So during a period of confusion or instability within the Baltic States, NATO’s own organisation and loyalty will remain intact. This then allows the Baltic State countries to employ the help of these troops however they wish. Whether it is policing their streets, or moving to secure their borders to stop foreign forces and support causing further internal instability. This is highly advantageous for the Baltic States because a significant proportion of their population is of Russian descent and could therefore be coerced into action by Russia as was seen in Crimea. In a conventional war scenario the forces sent to the Baltic States are weak, but in hybrid warfare their influence is expanded. An added advantage to the deployment of foreign NATO troops in the Baltic States is the legitimacy it gives to the government. In a time of instability and confusion, the civilian population can become confused with multiple actors rising up in order to gain local control. It would be clear to the local population that NATO troops will ultimately support the legitimate government. This helps to stop the population being coerced through propaganda onto the side of the aggressor in hybrid warfare. NATO troops would ensure that the legitimate government acts correctly and within the confines of law, making it the more desirable faction to follow. In conclusion, it can be clearly seen that the NATO forces sent to the Baltic States are insufficiently equipped to fight a conventional war and threaten the Russian Federation with attack. Nor is the force much of a conventional deterrence, with its position being far away from sufficient reinforcement from the western countries. In this aspect the force is a paper tiger, although in the face of hybrid warfare, the detachments sent are sufficient for the task at hand. The NATO alliance has successfully acknowledged the latest threat and has acted accordingly. 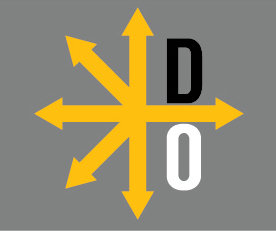 Divergent Options is calling for national security papers assessing situations or discussing options related to countries in the North Atlantic Treaty Organization, countries in the European Union, Russia, and the former Soviet Republics. Please send your article to submissions@divergentoptions.org by December 14, 2018. – Assess whether Russia will learn to cooperate with the other great powers. – Assess the national security impacts of Brexit. – What options remain to solve or address concerns related to the conflict in Ukraine? – Assess the impact on North Atlantic Treaty Organization activities if the European Union were to deploy forces under the Common Security and Defense Policy. – What options exist to ensure that the North Atlantic Treaty Organization and the European Union’s Common Security and Defense Policy complement each other rather than conflict? – Assess whether U.S. President Donald Trump or Russian President Vladimir Putin will have more impact in determining the future of the North Atlantic Treaty Organization. – Assess how friction between the United States, France, Russia, the United Kingdom, Germany, and the European Union over the Joint Comprehensive Plan of Action could affect other portions of the relationships between these countries. – What options exist for the Baltic States to address the threats posed by Russia? – Assess a national security issues that can be best addressed by working with Russia. – What options are available to address threats posed by Russian cyber activities? – Assess whether Russian cyber activities are part of an integrated national security strategy or a low-cost / high-gain pursuit of a country with a small economy. – Assess the impact of nationalism. – What options exist to address the re-emergence of nationalism? Date Originally Written: July 15, 2017. Date Originally Published: August 14, 2017. Summary: For much of the last 800 years, the natives of the Baltic States and Finland were ruled by others, whether Baltic Germans, Swedes, Russians or Hitler’s Germany. History shows these countries that, to retain independence, they must be willing and able to fight for it, and possibly join collective security organizations. Text: Lithuania existed as an independent nation prior to 1918, in contrast to Estonia, Latvia and Finland. In 1385, the Grand Duchy of Lithuania joined with the Kingdom of Poland via a dynastic marriage. Although not specifically made for security purposes, the result was a great Central European power that eventually spread from the Baltic to the Black Sea. This was, however, an unstable union, with divergent interests between the Lithuanian and Polish halves. (Poland ultimately became the dominant power.) Efforts were made to strengthen the union, culminating with the establishment of the Polish-Lithuanian Commonwealth in 1569. The commonwealth eventually succumbed to its own weaknesses and the machinations of neighboring powers, Austria, Prussia and Russia, which divided it among themselves in the partitions of 1772, 1790 and 1795. If ultimately unsuccessful, the commonwealth nevertheless provided security for the Lithuanians for centuries. Upon gaining independence in 1918, the Baltic States struggled to navigate their security environment. For the most part, they sought refuge in the collective security arrangements of the League of Nations. Different threat perceptions, a territorial dispute over Vilnius between Lithuania and Poland, and the maneuvers of the Germans and Soviets hindered trilateral defense efforts. A proposed four-way alliance among Estonia, Finland, Latvia and Poland foundered on Finnish reservations. Helsinki elected to focus on a Scandinavian orientation. Estonia and Latvia managed to conclude a defense alliance in 1923. The Soviet Union saw Baltic cooperation as a threat and worked to undermine it. The Baltic States concluded their own treaty of cooperation and friendship in 1934, although little came from it. Non-aggression pacts signed with Moscow and Berlin came to nought and the three nations were occupied by Soviet forces in 1940 and annexed. While Finland fought for its independence and survived World War II, Baltic failures to prepare, and the overwhelming strength of the Soviet and German states that opposed them, ended their initial experiment with independence. Finland was able to maintain its independence during and after World War II, fighting the Soviet Union twice in the Winter War of 1939-1940 and the Continuation War of 1941-1944. The Finnish state was saved, though it lost the Karelia region to the Soviets. Viewing Moscow as a direct threat, Helsinki allied with the Nazi regime as Berlin prepared its own attack on the Soviet Union. The Finnish government took pains to portray its own war as separate from that of Germany’s, without much success. At the end of the war, Finland was left with an 830-mile border with Russia and a difficult position between its preferred partners in the democratic West and the Soviet Union. Moscow was able to dictate terms as the Finnish war effort collapsed in 1944 along with the fortunes of its German allies. In 1948, the Finnish government concluded a mutual assistance treaty with Moscow, including military obligations to come to the Soviet Union’s assistance in the event of an attack by Germany or its allies, or an attack from Finnish territory. The goal was to maintain independence and reduce the chance of conflict in Northern Europe. By resolving Moscow’s security concerns, Finland was able to pursue trade with Western countries and play an active role in détente during the 1970s. The Nordic country benefited from trade with its eastern neighbor, while holding off Soviet efforts to tighten military relations. While this “Finlandization” policy ensured the nation’s sovereignty during the Cold War, it came at a cost to Finland’s freedom of action. Habits formed over those decades continue to influence national policy, including hindering those who might prefer new security arrangements in light of Russia’s increasingly aggressive posture. The Baltic States declared their independence from the Soviet Union in 1990. Remembering the lessons of 1940, they immediately focused on trilateral cooperation and integration with European security organizations to secure their freedom. Their security bodies focused on developing modern, capable forces on the Western model with the object of joining the North Atlantic Treaty Organization (NATO) and the European Union (EU). These goals were achieved in 2004. NATO’s Article 5 pledge that an attack on one is an attack on all is seen as the cornerstone of Baltic security. Accordingly, all three countries recognize the United States as their most important security partner. The Baltic States also pursue regional cooperation with their Nordic neighbors. These multilateral cooperation efforts have, in some cases, detracted from trilateral endeavors. Small countries have limited resources. Accession to NATO and the EU, which has its own security mechanisms, seemed to resolve the security concerns of the Baltic States. However, the election of Donald Trump in the U.S. has led to uncertainty about the wisdom of relying on Washington. Trump has threatened to assist only those NATO members who meet the alliance’s defense spending goals and his commitment to Article 5 appears uncertain, despite efforts from other administration officials to reinforce American support for the Baltic allies. Trump’s apparent ties to Russia cause additional discomfort in the region. Officially, the governments of Estonia, Latvia and Lithuania emphasize the continued importance of security ties with the U.S. and a belief that Trump will live up to Washington’s NATO commitments should it become necessary. So far, U.S. and NATO activities in the Baltic region have been unchanged from the previous administration, with multinational battalion task groups active in all three countries. As for Finland, it has eschewed its former relationship with Moscow in favor of closer security relations with NATO and the U.S., and strengthened ties with neighboring Sweden. Helsinki still sees a strong national defense capability as vital for its security. NATO membership remains politically challenging, although Finland potentially benefits from E.U. mutual assistance mechanisms. The lessons of history for this region are simple. To retain independence, one must first be willing and able to fight for it. States as small as Estonia, Latvia and Lithuania must additionally find allies to bolster their own defense efforts. If one cannot be a great power, joining a great power organization, such as NATO, is the next best thing. Kirby, David. (1998). Northern Europe In The Early Modern Period: The Baltic World 1492-1772. New York, NY: Addison Wesley Longman. Kirby, David. (1998). The Baltic World 1772-1993: Europe’s Northern Periphery in an Age of Change. New York, NY: Addison Wesley Longman. Kasekamp, Andres. (2010). A History of the Baltic States. New York, NY: Palgrave Macmillan. Plakans, Andrejs. (2011). A Concise History of the Baltic States. New York, NY: Cambridge University Press. National Security Situation: The Baltic States of Estonia, Latvia and Lithuania face an uncertain security environment due to Russian belligerence and concerns about the willingness of their North Atlantic Treaty Organization (NATO) allies to come to their defense. There is unease about allied reactions should Moscow undertake hybrid warfare actions in the Baltic States. This is further exacerbated by questions about the U.S. commitment to Baltic security under the Trump administration. Date Originally Written: January 17, 2017. Date Originally Published: January 26, 2017. Author and / or Article Point of View: This article is written from the perspective of the three Baltic States facing the potential threat of an unpredictable Russia and concerns about the backing of their primary security guarantor, the United States. While the three countries are not as unified as they are often portrayed, this article focuses on collective efforts that can be made to enhance their security. The author’s M.A. studies focused on the Baltic States and European security and he has continued to keep an eye on the region. Background: Estonia, Latvia and Lithuania regained their independence in 1991 with the dissolution of the Soviet Union. Since this dissolution, relations with Russia have been rocky. Points of contention include the treatment of large ethnic Russian minorities in Estonia and Latvia and the determination of the Baltic States to integrate with Europe, including NATO and the European Union (E.U.). (All three formally joined both bodies in 2004.) Since Russia invaded Ukraine in 2014 and annexed Crimea, using the rights of ethnic Russians as part of its justification, the Baltic States have become increasingly concerned about the Russian threat. All of the Baltic States have been increasing defense spending and strengthening their defense capabilities. Lithuania has reinstated conscription. (Estonia has maintained mandatory military service since regaining independence, and Latvia has, so far, indicated it sees no need to reinstate conscription). In addition, the Baltic States have been pressing their allies in NATO and the E.U. to increase defense expenditures and commit to the collective defense of the three countries. The election of Donald Trump in the United States in November 2016 has created uncertainty because of the president-elect’s campaign statements deriding NATO and seeking friendlier relations with Russia. The potential to lose the U.S. as their most important ally threatens to leave the Baltic States vulnerable. Significance: The Baltic States’ small size, integration in European alliances, recent history as part of the Russian sphere of influence, and ethnic Russian minorities have made them a target for Moscow. As relatively weak, geographically vulnerable countries on NATO’s periphery, the Baltic States are seen as ideal targets for Russian efforts to challenge the cohesion of European institutions, especially NATO. The opportunity to “right” some of the perceived wrongs of the dissolution of the Soviet Union is a bonus. Due to Russia’s desire to project its power into the Baltics and NATO’s requirement to defend the Baltics, the region is considered a possible flashpoint for a conventional conflict between the West and Russia. Option #1: The Baltic States focus on further strengthening trilateral cooperation between themselves. Risk: The Baltic States have limited resources. Focusing on trilateral efforts between themselves may come at the expense of activities that would boost ties with more powerful allies, such as Britain, Germany and Poland. Even enhanced trilateral cooperation may not be sufficient to deter or combat major threats emanating from Russia. Gain: The stronger the three Baltic States are together, the better the deterrent to Russia. Enhancing joint military equipment procurement beyond small items such as ammunition could reduce equipment, logistics, and support costs, while improving interoperability between Baltic military forces. Better integration of Baltic military forces would enhance their ability to deter Russia and fight a delaying action while NATO mobilizes. By preparing strong defenses, the Baltic States can also reduce potential allied concerns about coming to their aid. The Baltic States, while cooperating closely in some ways, each have their own viewpoints that have hindered cooperation in other areas. The recent acquisition of armored vehicles was one missed opportunity. Instead of coordinating a purchase, thus reducing procurement and joint logistics costs, each Baltic State procured their own models. Estonia purchased used CV90s from the Netherlands, while Latvia bought used CVR(T)s from the U.K., and Lithuania new Boxer armored vehicles from Germany. Cost and regional ties appear to have taken priority over trilateral considerations. On the other hand, a joint air defense system acquisition is currently being discussed. Option #2: Upgrade regional defense ties. Risk: The Baltic States relying on regional powers, such as EU partners Sweden and Finland or NATO allies, could fail to deter Moscow or effectively respond to Russian aggression. This failure might be because of external and domestic pressures, differing interests, or divergent threat assessments. In the worst case of a Russian invasion, some allies may find it more expedient to keep their distance than become involved in a bloody conflict. The costs of rotating forces to the Baltics or otherwise maintaining readiness for such operations may be hard for regional allies to sustain over the longer term. Gain: The significantly greater combat capabilities that can be brought to bear in combination with regional allies can provide more deterrence than those available among the Baltic States alone. Regional support using both NATO and E.U. mechanisms can bolster Baltic efforts. Sustained political support can also enhance Baltic deterrence. Option #3: The Baltic States seek rapprochement with Russia. Risk: Moscow is not interested in anything but compliant, supplicant states. Reaching some sort of deal with Russia would likely result in a narrowing of policy options, some loss of sovereignty, and negative economic effects. Democracy would likely be curtailed and concessions would have to be made to ethnic Russian populations. Gain: By preemptively reaching a deal with Russia, the Baltic States might hope to gain a better position than if it were decided without them in Washington and Moscow. Such rapprochement could also reduce the chances of conflict, at least for the short-term. Other Comments: It should be noted that having enjoyed independence for only 25 years, the Baltic States are unlikely to surrender it easily. Acknowledging the limitations of their small defense institutions, all three militaries support volunteer defense associations and maintain significant reserves. From their perspective, any conflict on their territory will be conventional only in the initial stages. Domestic forces will quickly turn to insurgent tactics, following the example of the Forest Brothers fighting the Soviet Union during and after World War II. Ruin, Pahl, “The Forest Brothers — Heroes and Villains of the Partisan War in Lithuania,” Baltic Worlds (Stockholm, Sweden), Oct. 25, 2016. The author also highly recommends the documentary “The Invisible Front,” which is available on Netflix. Barefoot Boomer is a U.S. Army officer and has served in both the Infantry and Armor. He is currently a Strategic Planner serving in Texas. Boomer has a Bachelor of Arts degree in history with an emphasis in military history from the University of Missouri at Saint Louis and a Master of Science degree in Strategic Intelligence from the National Intelligence University at the Defense Intelligence Agency. He can be found on Twitter at @BarefootBoomer. Divergent Options’ content does not contain information of an official nature nor does the content represent the official position of any government, organization, or group. National Security Situation: Deterring Russia through military exercises between the U.S. and Member States of the North Atlantic Treaty Organization (NATO). Date Originally Written: January 12, 2017. Date Originally Published: January 23, 2017. Author and / or Article Point of View: Barefoot Boomer is a Strategic Planner with the U.S. Army and has previously served in the Operation Inherent Resolve Coalition headquarters which leads the war against the Islamic State in Iraq and Syria (ISIS). His current focus is mainly on Northern European and NATO security interests. Background: For decades during the Cold War the U.S. and its NATO allies conducted REFORGER (REturn of FORces to GERmany) exercises in order to deter aggression and ensure U.S. military forces could respond quickly to a Soviet and Warsaw Pact invasion of Western Europe. REFORGER was also designed to be the operational defensive plan executed if a Soviet and Warsaw Pact attack occurred. Annually, large numbers of U.S. military forces would rapidly deploy from bases in the U.S. to Europe and conduct exercises with NATO partner nations at training sites across Germany. The last REFORGER exercise was formally conducted in 1993. Significance: As tensions have risen the last few years between Russia and the West, NATO has begun to increase its defense posture as well as member’s defense spending. Russian incursions into Crimea, their invasion of Ukraine, and operations in Syria have also strained Russia-NATO relations. In response, since 2014 the U.S. and her NATO allies have conducted Operation Atlantic Resolve, small-scale exercises and military-to-military training with northern and Baltic NATO nations. Examples include the U.S. 2nd Cavalry Regiment executing Operation Dragoon Ride, a show of support to NATO allies by conducting a road march through six nations while training with host nation partner forces, and the U.S. 173rd Airborne Brigade sending units to train with their counterparts in the Baltic region. Other NATO countries have sent forces east to conduct joint air patrols and exercises with partner nations. These exercises and alliance contacts are designed to not only deter Russian threats to these partner nations but also to increase the capability, interoperability and responsiveness of the force. Option #1: Continue Operation Atlantic Resolve. Risk: The risk to continuing Operation Atlantic Resolve is minimal to NATO as well as to the U.S. overall yet could be higher to those NATO countries closest to the border with Russia. The small-scale deployments of U.S. forces to the Baltic region with NATO partners such as Lithuania, Latvia, and Estonia, as well as with larger ally Poland, have been conducted by forces regionally aligned to Europe. These deployments are focused mainly at the company-level or lower and concentrated on building partner capacity, military-to-mililitary cooperation, and integration into NATO command structures. These small deployments and exercises may not be substantial enough to enable NATO to deter Russia. Gain: Any exercises conducted to strengthen NATO resolve and foster a more secure environment is a gain. Operation Atlantic Resolve has shown this to be valid as it has grown larger over the past couple years to include more NATO partners eager to participate. The positive response from the local population in each nation has also born this out. If Atlantic Resolve continues at its current size and pace any further gain may be minimal at best. Option #2: Expand Operation Atlantic Resolve into a reconstituted large-scale REFORGER exercise. Risk: The risk from NATO executing larger, more rigorous exercises is that this may further increase tensions between Russia and NATO. Even though NATO conducted large exercises in the past, and Russia has been conducting some themselves, increasing NATO’s footprint along Russia’s border may be seen as provocative and escalatory. Gain: There is much to gain from conducting wider-scale exercises like REFORGER that may outweigh any increased risk. This gain includes everything from shrinking deployment timelines as our forces get better at rapidly deploying, sharpening the U.S. logistics capability, and increasing the cohesion of partner forces at higher command echelons. In essence, conducting exercises as large as REFORGER can do certain things that smaller exercises cannot. For example, decades of executing REFORGER were instrumental in the deployment of forces to Saudi Arabia for Operation Desert Storm. Moving thousands of pieces of equipment, men, and materiel and the logistics to support them is a large part of any exercise and must be trained along with combined arms maneuver. The deployment of an Armored Brigade Combat Team to Poland is a start but incorporating higher echelons of command, such as Divisions and Corps, should be a priority to ensure the interoperability and close coordination with NATO partner forces. Other Comments: Deterrence only works when there is sufficient force behind it to threaten escalation and reaction, if required. Smaller exercises are good for conducting exchanges with partner forces but executing larger scale exercises and deployments ensures that, if deterrence fails, NATO forces have the ability to react with enough size, strength, and most of all interoperability, to defend NATO Member States. Larger exercises will also allow the inclusion of all members of the Joint Force, to include the Reserves and National Guard. It has been over two decades since NATO has conducted a REFORGER, and while NATO has experience working together from years of operations in Afghanistan, they have lost the “muscle memory” of executing large, coalition operations and must regain it in order to deter Russia. Scales, Robert H., Certain Victory: The U.S. Army in the Gulf War, Brassey’s Inc., 1994, pg. 46.